Okidoke, where shall I start? As many of you might know I am a fan of STAR WARS and all it’s series, movies and merchandise. Over the last couple of weeks I found out that one of my friends actually is a member of the the 501st Legion. I mean HOW COOL IS THAT? So we started to talk a lot about it and I tried to find out what it would cost to get my very own amour. After I HAVE found out how much it would cost, I decided that it would take years to save up that money. So Neil and I went to a Toy Store two days ago to buy ourselfs some nice things to cheer us up. 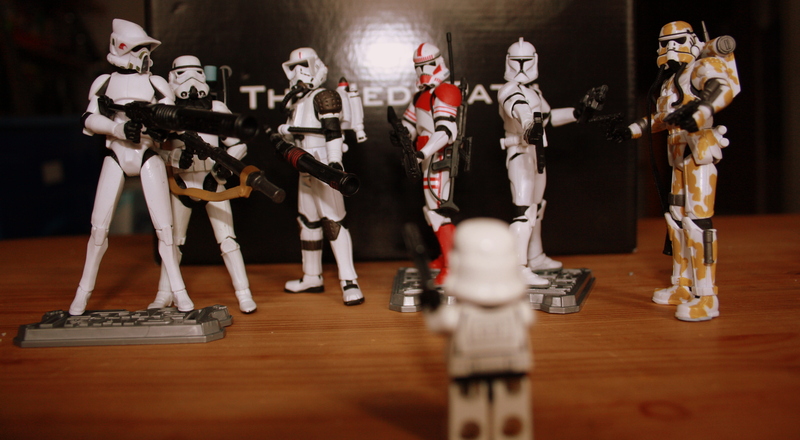 Oh yes, you might already guess right…I got loads of Clone Trooper action figures. Woohooh! So why wait all the years to get the money for a real amour, when you can build up your very own Trooper Legion till then? After that, I searched the internet (ebay, amazon etc.) for more available figures….and I found too many. Sigh. (just have a look at my neverending Wishlist on amazon *hint*) So my goal now is to collect as many of them as I can, to rise my own little army of brave Troopers. But until I have that many, I will continue with my little favourite Trooper and his adventures. What? 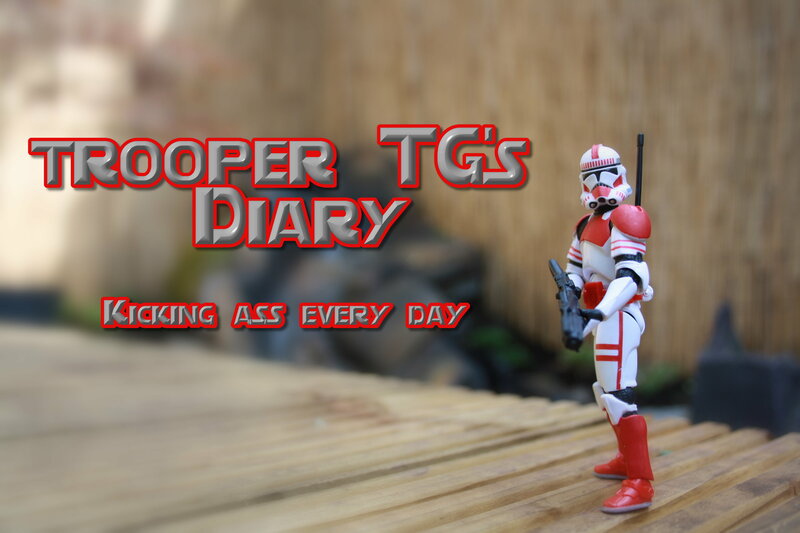 You haven’t heared of Trooper TG yet? I had so much fun doing the first series of pictures that I think I will continue creating little mini adventures with him. Have a look, tell your friends about it and let me know what you think. This entry was posted in Uncategorized and tagged action figure, Clone Trooper, merchandise, SciFi, Star Wars, Stormtrooper. Bookmark the permalink.